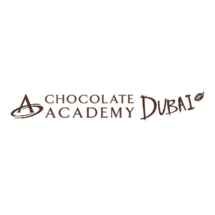 Chocolate AcademyTM Dubai, UAE is the first in the Middle East and Africa. The Academy is a place where all the chefs in the region can gather together to exchange, create, and express themselves in the fields of chocolate and pastry. It is a technical melting pot for both professionals and chocolate lovers. Through the best possible selection of experienced teachers as experts in the business, Chocolate AcademyTM Dubai center will give you endless possibilities for your creativity. The academy spreads a global chocolate spirit and culture through excellence.